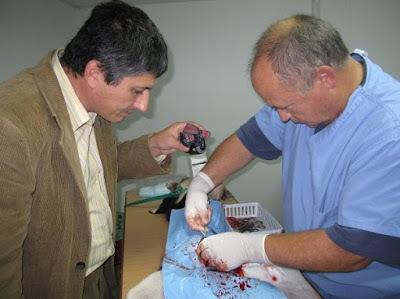 World Vets sent its first team to Romania in October, 2009. Fourteen volunteers coordinated a large scale sterilization campaign at a local shelter, providing treatment to working horses and training to local veterinarians. In addition, the team spent a day working on a Romanian Army base providing sterilization surgeries to every animal on the compound. A major milestone of this project was the signing of a formal treaty between the city of Buzau Romania, World Vets and local animal welfare groups. 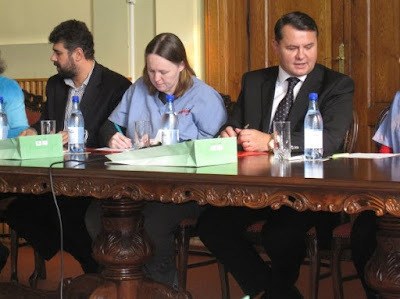 Dr Cathy King and the Mayor of Buzau, Romania signed the treaty on a nationally televised news conference.